Nestled in the heart of Hamilton Heights right by the 137th Street IRT subway station, Montefiore Park has long served as a jumping off point to access a variety of the neighborhood's cultural and recreational treasures. This June, tthe Montefiore Park Neighborhood Association with support from the Parks Equity Initiative and Partnerships for Parks, is thrilled to offer two free tours that use Montefiore Park as the starting point for an exploration of the immediate neighborhood. 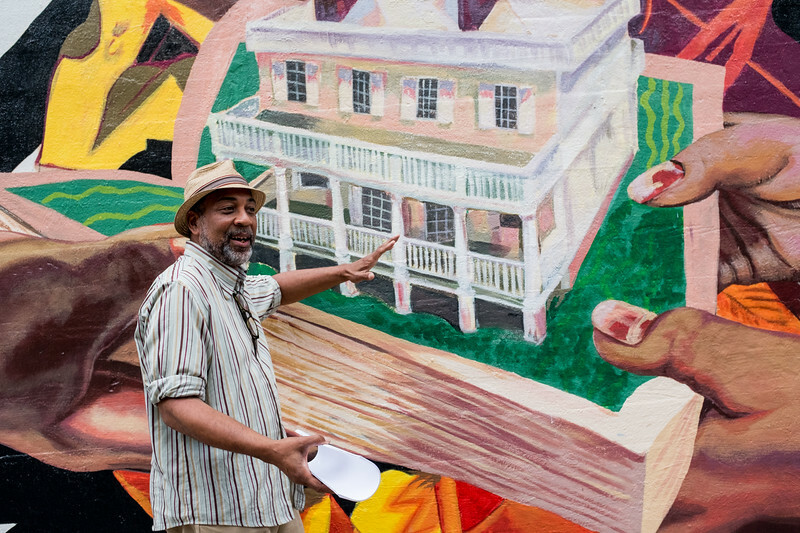 Join John Reddick, Harlem Historian and Columbia University Community Scholar, for this neighborhood history walking tour. When George Gershwin was getting off at 137th Street and Broadway in his youth, he could be headed home or slipping off to one of several movie theaters in the area. Otherwise, he might be meeting up with his lyricist brother Ira and his composer buddy Yip Harburg at Townsend Harris High School on the campus of City College. It's just beyond the banks of the Hudson River, in an apartment on 144th Street that Gershwin composed "Swannee", and the inspired local composer Lin Manuel-Miranda's musical "Hamilton" brings to life Alexander Hamilton, another talented local resident! Discover this history and more, through an exploration of the neighborhood's theatrical past. Comfortable shoes and water bottle advised! FREE but online registration required. This project is funded by the New York City Council’s Parks Equity Initiative, Council Member Mark Levine.